Elliptical machines are some of the most popular gym and in-home equipment available – and some of the most effective too. They allow you to work up a sweat, work out many different muscle groups, and sit down at the same time. 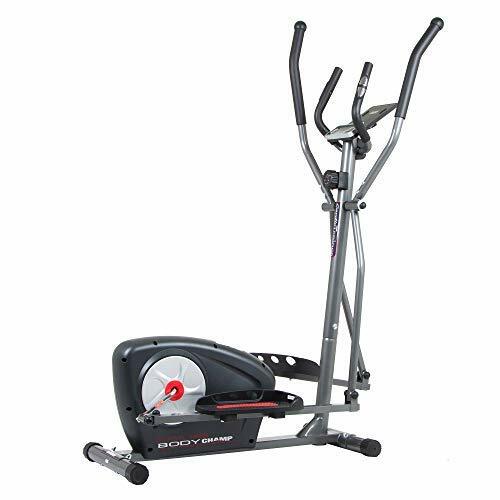 An elliptical trainer is also available in several styles and models. 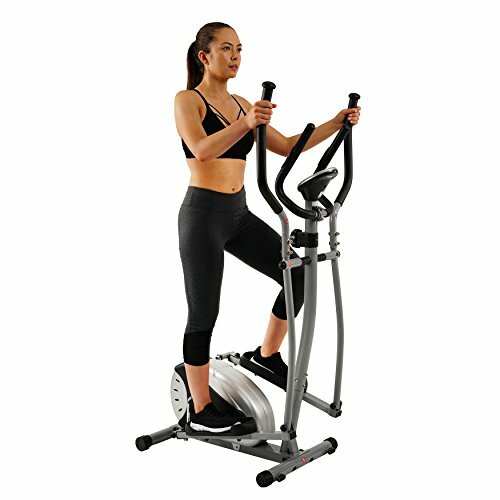 You can buy an elliptical trainer with foot pedals and a handlebar, and these work your hamstrings, glutes, and quads. You can also buy a cross-trainer which works your upper and lower body. Otherwise, you could also look at an elliptical glider which has handlebars but no moving foot platforms, pedals, or arms. As you can see, there are several styles available – and that’s before you count the different brands and manufacturers who try to add their spin to it. Is it time to lose weight and get fit? An elliptical machine is one of the most useful pieces of fitness equipment, so it’s now up to you to find one that suits your needs the best. Check out these options below before weighing up the considerations to ensure you get the perfect fit. 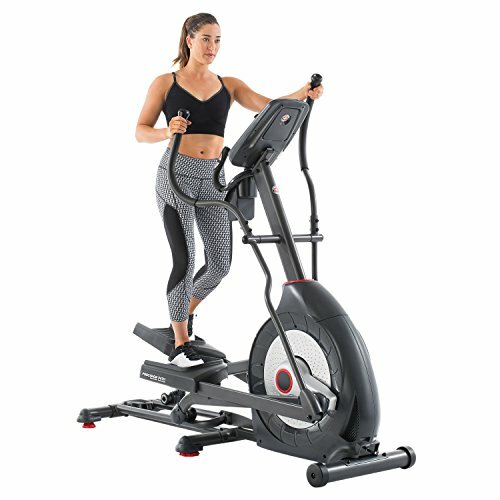 If you need a no-frills elliptical machine to give you a beneficial workout before or after work, then check out this A40 model from Schwinn. Even though it lacks any technical advancements, it’s a comfortable, high-quality and portable unit you won’t mind setting up in your home. As most people know, Schwinn is a well-regarded brand, so you won’t even mind paying a little bit extra for the privilege too. The elliptical machine is well made, comes with a range of features, and is small enough to fit into most homes also. However, it tends to suit short people the best. It has a weighted flywheel, seven preset modes, and eight resistance levels too. For someone who is trying to work up a sweat, this machine can be of assistance. Even the display will offer something unique, with heart rate monitors and measuring capabilities for time, distance, calories, and more. However, these are not always that accurate. If you’re short on space and need to store the elliptical machine, this Schwinn model makes that a breeze too. Its compact size coupled with its transport wheels means you can move it at a moment’s notice with no hassle at all. Aside from potential drama during the assembly process, you may find this elliptical machine from GoElliptical is the very thing you need to get fit and active. If you’re tired of paying for expensive gym memberships and sharing equipment, then why not bring the gym to you? This 17-inch V-200 model could be the very piece of equipment you need to start on the right foot. It offers magnetic resistance so you can work up a sweat, and you can then adjust that resistance between one and 24 levels. Once you’re at your peak, reach down to the water bottle holder and take a drink. Everything is close enough to reach, including the storage rack. What’s more, this elliptical machine factors in your need for that “get up and go” energy you need to push through the barrier. It provides a headphone jack that lets you listen to music on your iPod or MP3 player. With an affordable price tag and limited noise while you use it to seal the deal, there are 101 reasons why this elliptical machine could be the perfect piece of equipment for you. If you consider yourself to be quite short, then there’s every reason to consider purchasing this elliptical machine from Tomasar. While it will leave any tall person disappointed as they hit their knees on the handlebars, anyone under five-foot-five will think this machine is the bee’s knees. Buy it in a silver color scheme and as one of three models. It provides magnetic resistance of eight levels and comes with a precision-balanced flywheel. As a result, you can enjoy knowing it’s going to be a smooth, quiet, and comfortable ride every time you jump aboard this elliptical machine. It also has non-slip 13-inch pedals, a generous 250-pound weight capacity, and a solid frame that won’t creak or groan. What’s more, when you need it the most, this elliptical machine will monitor your every move. Thanks to the digital monitor, you can find out how long you’ve been exercising, how many calories you burned, and how far you traveled. There’s a lot to love about this elliptical machine, so view it for yourself and consider adding it to your shopping cart. When you start to exercise on an elliptical machine, it can be hard to find out how well you’re doing – or even compare it to previous times you’ve exercised to see if you can improve. With Schwinn’s machine, it’s easier than ever before. 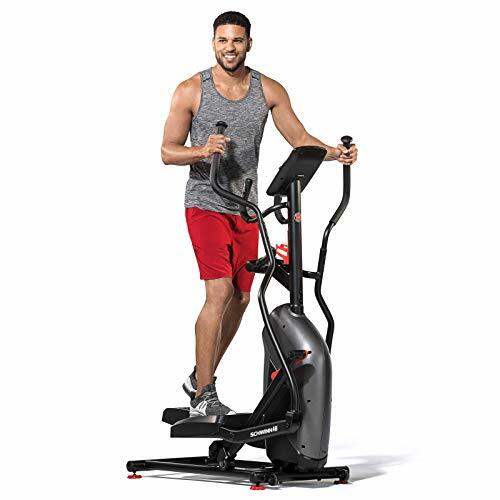 This elliptical machine monitors almost everything relating to yourself and your workout, meaning you are in the best position possible to improve and compare. It also comes with Bluetooth connectivity, 29 workout programs for variety, and 29 workout resistance levels too. If you find yourself on a manageable level, you can immediately adjust it to put a bit more pressure on yourself. As you work out, you also get to take advantage of the MP3 input port, a USB charger to keep your phone or media player working, and an adjustable fan. When you find yourself getting too hot, there’s a cold breeze to freshen you up. That’s not all this elliptical machine has to offer either. Once you buy it and set it up, you can sync it with a RunSocial app which lets you track yourself against other people around the world. Even though the monitoring side of this elliptical machine is not all that accurate – particularly when it comes to calories, it’s still an excellent example of an elliptical machine that will see you fighting fit before long. If you choose to buy this elliptical machine online, then it can be hit or miss with what you will receive. You can get a fantastic machine that impresses beyond your expectations, or you get one that falls flat due to poor quality control. If the manufacturers put a bit more effort into ensuring the units they sent out had all the parts they needed, then more consumers might be happy with their purchase. In saying that, if you buy this elliptical machine and it works right away, prepare yourself for a fantastic workout experience. This Results Series model does as the name suggests – produce results. It lets you connect to it via Bluetooth, link up with two different monitoring apps, and has a comfortable 22-inch stride length to suit most people. However, it pays to wear grippy shoes as these pedals may slip. If you can’t usually find an elliptical machine to suit your weight, then this machine might help there too. It has a 400-pound weight capacity and a solid frame to ensure large and small people get to work out. Sealing the deal is its technologically advanced monitoring system. It has a nine-inch back-lit color monitor, 11 workout programs, a burn meter to check out how many calories you are burning, and custom programming so you can create a workout to suit. According to many reviewers, this elliptical machine can often have some durability issues, but if you need an in-house exercise solution, there are many more reasons to consider it than choose not to at all. It’s an excellent example of an affordable elliptical machine that doesn’t take up much room but provides premium bang for your buck. As the E614 Nautilus model, it’s a high-class but low-price elliptical machine with a range of comforts you would expect on more expensive models. It tracks your goals, offers 22 different workouts, and even lets you sweat up a storm thanks to 20 different resistance levels as well. That’s not all this elliptical machine has to offer either. Its inertial drive system and perimeter-weighted flywheel mean you can enjoy a smooth, quiet ride. However, some people still experience squeaking and groaning in the framework. You can quickly drown this out with your in-console speakers, though! Turn on the DualTrack monitor to track your performance, charge your devices on the USB charging port, and move the adjustable fan to keep you fresh as you work out. This elliptical machine has everything you need for a comfortable workout. While you possibly wouldn’t use this elliptical machine in your living room while someone is trying to watch TV, you would use it if you’re looking to get fit and healthy and be comfortable as you do it. This Sunny Health & Fitness elliptical machine has a lot to offer. It has magnetic resistance, a heart rate monitor to ensure you’re fit and healthy, and lets you take strides up to 20 inches too. Then, if you want a bit of variety, you can enjoy one of 12 workout programs and seven modes. 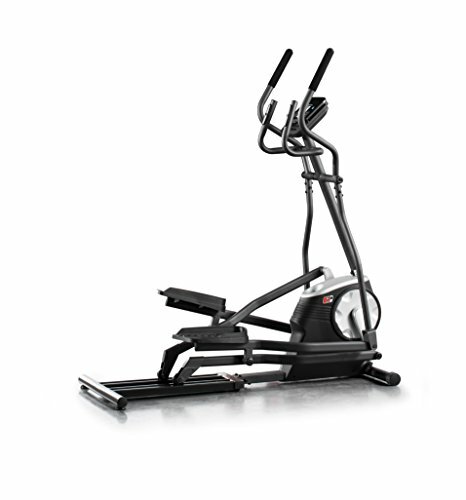 This elliptical machine with its black and red color scheme also ties into any home gym beautifully. It’s compact, small, easy to transport, and lightweight too. Even while it’s all of those things, it’s still stable, sound, and affordable to buy. When the time comes to upgrade your home gym equipment, consider purchasing this elliptical machine from Sunny Health & Fitness. 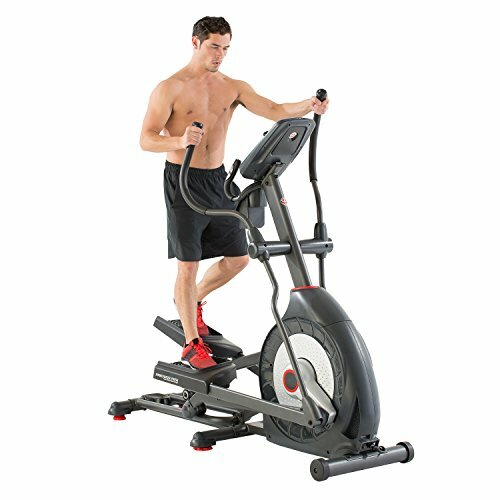 Aside from this elliptical machine taking up a lot of room if you choose to put it in your house, it’s an excellent example of gym equipment you would happily buy for commercial or residential use. It’s well made, robust, and operates quietly for the convenience of those around you. It doesn’t get much better than that. 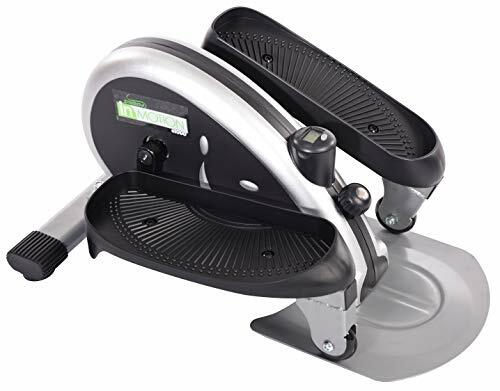 This elliptical trainer has a stride length of 19 to 25 inches, lets you adjust the pedals up to six degrees, and works with magnetic resistance for a rewarding workout too. If you find yourself working up a sweat that’s not comfortable, quickly turn on your cooling fan and let it cool you down quickly. Then, you can reach for your water bottle in the holder, your music device in the storage rack, and enjoy working out with a full monitoring system so you can see how you’re going. When the time comes to get off and store this elliptical machine away somewhere, you will enjoy the effortlessness of it thanks to the front wheels and rear handle. This elliptical machine is ideal for a commercial or home gym and will surprise you with how solid, sturdy, and useful it is. Get a decent workout from GoElliptical. Even though you might have to spend a bit more on this elliptical machine than you anticipated, and the assembly process can be quite challenging, it’s an excellent example of an advanced device that will help you work out with full monitoring to back you up. You get to enjoy 24 resistance levels, 21 workout programs, and a back-lit display full of monitoring options too. If you want something that will track time, distance, RPM, calories, and more, then this is it. It’s also quiet to operate, comfortable to use, and has a double transmission system with an 18-inch stride. Even if you usually get uncomfortable on an elliptical machine, you are less likely to suffer from ankle and knee strain than you would with other models. This elliptical machine is by no means perfect, and its price tag can be out of reach for some people, but it’s a beautiful addition to any home gym. Start your workout on the right foot with this elliptical machine from Fitness Reality. If it has been your new year resolution for some time to get fit and healthy, then you may be trying to think what piece of gym equipment is going to help make the process go a little smoother. Fortunately, you will quickly learn that an elliptical machine could be the answer. It offers a full cardio workout while also tackling your legs and arms at the same time. However, when you start looking for new elliptical machines online, you will notice there are a lot of them about. Now, you have a problem. Which is going to be the best for you? To avoid the hassle of returning one that’s not fit for purpose, you may like to consider the following points. 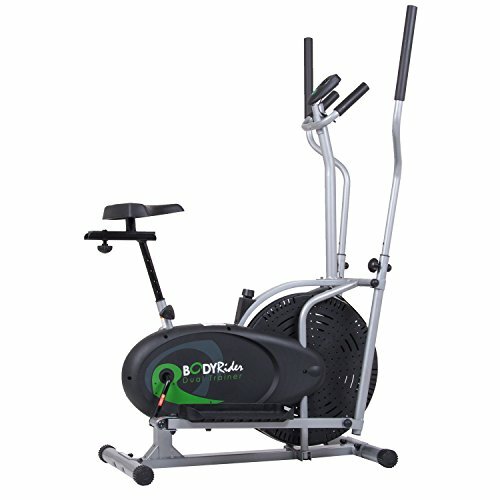 There are two primary types of elliptical machine, the commercial and the home use model. While you can use both of them at home, the gym model tends to be quite large, cumbersome, and hard to shift. A home elliptical machine, however, is portable, lightweight, and compact. Think about the space you have available before you choose either option. When you start using an elliptical trainer aimlessly, you may not feel like you’re getting anywhere. That’s why it’s crucial to choose one that monitors you. The best elliptical machine you can buy is one that will take note of your distance, time, heart rate, and calories. Some also let you sync into apps to track other information, set goals, and set personal bests too. There’s nothing worse than using an uncomfortable piece of fitness equipment. Instead of focusing on your workout, you’re too busy thinking about how sore your bottom is on the seat or the blisters on your hands from the uncomfortable handles. If you want to know how comfortable your elliptical machine is, read the reviews. Anyone who has bought one will be more than happy to tell you whether it was pleasant to use or not. 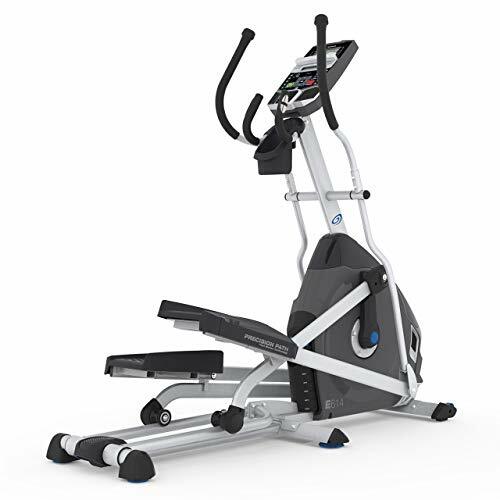 Most elliptical machines on the market come with preprogrammed workouts and resistance levels. If the one you’re looking at doesn’t, then keep moving. You will need a variety to push yourself continuously.